Mohtarma Atiya Maujood was not just a Seer; she had been appointed by Allah Almighty for this very purpose of giving glad news about Pakistan's future. Lets read a short biography of Mohtarma Atiya from two books of Muhammad Iqbal Diwan. Here first part is added, next post will be another chapter from his second book in which more information about coming future of Pakistan and a Holy dream about new borders of Pakistan, have been mentioned but before that post, must read this part. Iqbal Diwan Saheb has revealed the mystery of 'Ninety of ShahabNama' at Page No. 8 of Chapter posted below but now we need another 'seer' who could reveal the secret of Adnan. Please read the article of Amjad Islam Amjad at the end of this post. What is the name of his 2nd book? Actually its a Shair meintioned in Amjad Islam Amjad's article above. Thanks, I got it. Actually i couldnt find the 1st book on net and found the 2nd book. J.A.K. Post ke ibtida mai jo chousar and kero weghera ke rooh ka bulanay ka jo zikr hai, ye buhut ageeb sa lagta hai. Ye to west mei bhe esay log hai jo kalay ilam aur megic ke through murdon ke roohon ko bulanay ka dawa kartay hai.Jiss ke baray mei Ulmae Haqq farmatay hai ke ye log darsal shaitan ke behkaway mai aatay hai,kuonke kafiron ke roheen to azab ka maza chakti hain, aur shaitan inn logon ke surat mai aa kar logon ko dhoka deta hai.App iss ko aunty M. ke kiramat kahani gay kia? kia islam mie eisa koi tassawer hai ke murda logon ke roohain wapes iss dunya mai aa sakain.iss ilm ko kam se kam kiramat na kahain. Please iss point pe ghor karain. Ye baat Mumtaz Mufti ne Alakh Nagri mein tafseel se darj hai. Wo Ahmad Bashir ne request ki thi to Atiya Sahiba ne bulwa liya. Jab itne log keh rahe hain to yaqeenan aesa huwa ho ga. But ye baat to tae hai k Mohtarma Atiya Walayat ke buland maqam par faeez theen. Please wait for 2nd part which is full of interesting events related to Pakistan. Kuch log Rohaaniyat aur Roohiyat mai differentiate nahi kar paate. West mai Roohiyat se kaam liya jaata hai aur Sufiya Karaam Rohaaniyat se kaam lete hain jo Roohiyat se bohat ooper ki chiz hai jahan west nahi pohanch saka. West ne Roohiyat ko sab kuch samjh liya hai. Roohiyat mai jis chiz ko rooh samajh liya jata hai wo darasal Hamzaad hota hai jise aura kehte hain log spirit or Aura ko ek hi samjh lete hain ye dono chizain alag hain. Muslim Sufiya k mutabiq Rooh ek Tawanayi/energy ka naam hai jo sifaat-e-Ilahiya ki beshuamaar jahaat se bani hai.Magar Rooh khud bhi apni harkat k liye Maadar-e-Rooh ki mohtaaj hoti hai. Jab koi Rooh Aalam e Barzakh mai chali jaati hai to usey barzakh k mahaul mai adjust ya maanoos hone mai kuch time lagta hai. Dunya mai apni zindagi k maqsad se bekhabar reh jaane wali rooh ko alag muqaam par rakkha jata hai jabke aisi rooh jisne apni takhleeq k maqsad ko apni lifetime mai poora kiya ho usey bohat izzat aur azmat k muqaam per jaga milti hai. In places ko Illiyeen or Sijjeen kaha jata hai. Rohaani Uloom ka talluq Rooh e Azam se hai jabke Roohi uloom ka talluq Psychic powers yaani Rooh e Insani se hai. West mai sara drama psychic powers se kiya jata hai unki pohanch Rooh e azam tak nahi hai. "Qareen" Arabic mai Hamzaad ko kehte hain.Hadis Maujood hai k Huzoor Sallallahu Alayhi Wassalam se daryaaft kiya gaya k Ap Sallallahu alayhi Wassalam k sath bhi Qareen ko paida kiya gaya hai yani Aap (Sallallahu Alayhi Wassallam) ka Hamzaad bhi hai? To Huzoor Sallallahu Alayhi Wassallam ne farmaya Haan! Mere sath bhi mera Qareen maujood hai lekin Allah ne mjhe is par Ghalba diya"! Haazrat e Arwaah k liye Maahir e Roohiyaat Jab Arwaah se Rabte ki Koshish karte hain to unki Rasaayi sirf aur sirf Hamzaad tak hoti hai. Jabke Mahir e Rohaaniyat (Sufiya Karaam) is Rohiyat k process se bohat aage hain. Saints ki rasaayi barzakh se bhi aage hoti hai. Sar e Aayina Mera Aks hai Pas e Ayina Koi aur hai..
kya rooh rooh ki ratt lagayi hui hai yar aap logon ne? Jab logon ne Nabi Pak Salla'l la ho alaye hi w aalihi wasallam se pucha ke ruuh ki haqiqat kya hai toh Allah ne Nabi Pak Salla'l la ho alaye hi wa alihi wasallam se farmaya "Aap farma di jiye ke ruuh mere Rabb ki taraf se ek amr hai"
bus iss se zada na kuch btaya gya ,na he kisi ko justuju kerni chahiye ruuh ki haqeeqat mein.Mutashabehat ko chhor ker muhkemaat ko toh samjh lo pehle. A strange thing happened with me today, While purchasing 'Rotis' from 'Tandoor', I got another article written on you and your second book. I quickly folded Roti in it and read it after coming back to home.......!! I am still in state of disbelief, How can this be possible......!! Now I have 200% believe on what happened with Qudrat Ullah Sahib......!! I will add that article in next post. can you ask him just one more question please?????? That question is "what was the name of saint of qalandri silsia"? if i had a facebook account,i would have asked him directly. As per my observation,the picture posted above is of "Aksi Mufti" son of "Mumtaz Mufti" ,who appeared in a morning show called "Morninbg with Farah". Picture is correct, he already confirmed me. and also sent book title of his second book which has a similar picture. About Qalandri Silsila Saint, I will try to ask him. this man resemble to that one in the above pic. but do ask him the other question,please !!!!!!!!! Here is details of that Qalandri Saint. The saint was Colonel Muhammad Akhtar Rizwani Saheb. He was disciple of Hazrat Muhammad Din Saheb who is buried in Din Gah near Jehlum. His some details are in second part also. sirf mukashfay kernay se koi wali nahi banta. janab, mukashfay toh goray bhi ker leet hain aur theek thak ker lete hain.nahi yaqeen ata toh "remote viewing" likh ker search ker lo. "clairvoyance" likh ker search ker lo. aur gunahoun aur ethical buraiyon se bachnay se bhi koi wali e kamil nahi banta warna tibet ke laamay bhi apne waqt ke wali hotay. Toh phir wali kehte kisay hain? iss mein baba taj uddin ka zikr hai.baba tajuddin ka shijra likhne walay ne likha hai ke woh Imam Hassan skari alaye hi salam ke bete ki aal mein se hain aur unn ka naam bhi likha hai lakin sochnay ki baat yeh hai ke tarikh aur deegar tamam kutab mein Harat Imam Hassan askari alaye hi salam ke sirf ek bete ka zikr aya hai,woh hain Syedna Mehdi alaye hi salam. Not a big deal if you don't agree with this all. My definition won't effect any reality, neither past nor future. Who can fathom its mysteries? Their crews wielding their oars. Can know the Creator, O Bahu! Salaam Faqar, JazakAllah for sharing this book. I thought Muhaterma Atyea Begum only received visions but she also had remarkable knowledge about Islam, spirituality and history. Many thing are available in above book about spirituality for illiterates like me who don't know ABC of spirituality. Allah s very kind to women because they have soft heart as compared to men. In page 20 she described Pakistan very correctly and we should expect punishment in near future if we didn't correct ourselves. For these who criticized Adnan Oktar for teaching of Islam to bareheaded ladies... should read page 22. Why this blog is not been taken down as of yet? Who (Entity) this BLOG is serving -----? IS it possible that one person with various names (profiles) is posting on thing Blog? Something is really fishy here ----? Every single word posted in this blog is TRUTH. These are the things which are written in the books of our Saints about Pakistan's Future. You can confirm the books. Agar aap khul kar apna mudaa byan kar dain to acha hoga. wese baat khul kar karni chahye kese se darnay ke koi zaroorat nahi. you are correct bhai Faqar. Also no one need to trust or believe on these words as its all " dil ka mamla" its not part of any faith so no one should take it wrong. if someone doesn't want to trust on these "history making" then no need to spend his/her precious time reading these great post. I believe its one of the great post. May Allah gives you great rewards for all you efforts. Our prayers are with you. I don't know why i felt like crying when i read this line: 'jisay raat lay urri hawa'! For the ones who wish to know more about spiritualism, the book "Faqeer Rang" by Syed Sarfarz Shah sahib will help sync in all of the above a little better. 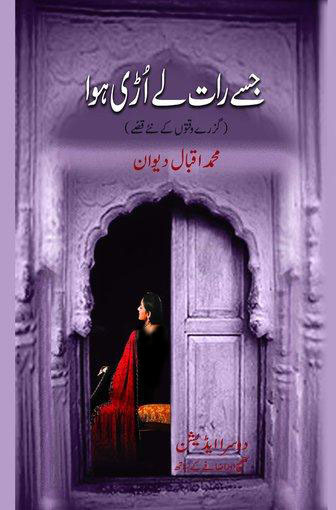 Another book worth reading is Pakistan Kahani by Abdal Bella. A brother sent me pages of that book but these are very very dim (captured by camera). InshAllah I will post them soon by writing its Urdu again. Ap kae iss blog sae hamarae Ilem mae mazeed ezafah ho raha hae jaesae iss post mae rohoneyat ka zikar baar baar aya hae sawal yae hae kae ham apni rohaneyat ya kashf ko kaesae polish kar saktaen haen ,aghar uss maen pahelae sae aesi salaheyat ho ? May be ,Adnan is the pen name of Aksi Mufti. did u ask him about that qalandar? Yes I 've sent an email to him about your query. 2nd, He is not Aksi Mufti, confirmed. He is different. Actually he avoids sharing the things in public which he didn't mentioned in his books. I emailed him, may be he's busy in some work. I will tell you as soon as he will reply me, other wise you can see my fb page and get his account. We need great people like our dear brother Muhammad Iqbal Diwan.He is not only a knowledgeable personality but also very generous to share his experiences and knowledge with other people.He is much more than what we see with our inexperienced eye. Yeah you are right, he is much more than this :) you will find this in next part. At last i finished reading this lengthy post. Brother Faqar keep doing your good work. Can you post something about the saint of Ghamkol sharif kohat almaroof "Zinda peer"
Lets hope we find something about Ghamkol Sharif Zinda Peer in future. "We have received this e-mail and it has the same message that we are trying to convey. Now the physical and spiritual intelligence is converging towards a great punishment and sacrifices if we do not do collective tauba. This system is the system of Kufr and Dajjal and will never do tauba. We must repent and prepare for whats coming next. InshAllah, great khair is coming but ...this system will be removed violently now as it fails to reform it self and Ummat e Rasul (sm) is suffering heavily. Khair inshAllah. Be ready now. Time is closer than you think. Barakallah hu fee umrik. I would call you some time in coming days after checking your convenience through SMS. Sahab called me and I requested him to write columns ( at-least one every month) up to this coming Ramadan about last warnings to Toba. I have been with sensation that this 14th August ( on 27th Ramadan) would come to pass with great pains for this nation. Hints are expected to start from coming Rajab. So it seems that the conclusive moments ( Tameer is pahlay ki takhreeb) have reached and our nation is enjoying without realizing that Azab is laughing at them on their heads. No need to request chief justice or any other makhlooq, they are believer & pillars of this system which is going to blast. Request to is spend most of efforts to beg ( rather than request) from Umat ( through your posts) to repent from Allah. Only a collective repent can postpone or reduce our damage. We know that our nation would not listen these last warnings but at-least we should do what our Faqeer Aslaf used to do before every water-loo. Allah is taking a great work from you, congratulation for that. You are lucky that Allah gave you this opportunity. I have been reading and listening you since two years and never tried to contact you. But due to my increased sensation & perceptions of coming months induced me to contact you for above said request. Lets cry together with full power as last & final try for few months to request collective Toba so that we should at-least die or live as Mowazan of Allah. Great love for you and your team from Sarzameen-e-Muqadas. Obviously he has withheld the name of the email sender. which also gives the same time frame as mentioned in his fb message above. Let the time come, Once I was reading Wasif Ali Wasif (ra), he said, "People are worried about their future without realizing destiny changes thousand times before that specific time"
Yes Allah has His Plans but common people don't have clue of those Plans. Only the Kamil Aulia know little bit of it but they never reveal it by exactly mentioning the specific time or working of fate but we can understand the working of fate by reading events of Prophets mentioned in Quran. I tell you real point, it doesn't matter who conspires what, Decisions and Plans of Allah never change. Allah be-niaz hai. Jab taqdeer aa jati hai to woh har nizam ko tehs nehs kar deti hai. hota wohi hai jo Allah chahe. Kya faraq parta hai k kon kya hai. Agar koi banda galat hai to Allah se saza paye ga. Quran mein sare rules likhe hain, puri dunya ka nizam inhi rules pe qaeem hai jo violation karta hai uss ki saza bhi Quran mein darj hai. Saza aur Jaza to wohi hai jo Allah de. bhai g comment toh aap ne delete ker dia hai ab iss tarah comment on comment kernay se kya fayeda? pehkle bhi ek dafa aap esa he ker chukay ho. "bol k labb azad hain tere"
"sharam tum ko magar nahi aati"
Do you know few mints ago I deleted an insulting comment about Shiekh Nazim QSA. As a blog admin I am in better position to judge the bad intentions of filthy elements. that why I request don't comment or become personal with anybody. Kisi par khichar na uchalo ta k koi aap par khichar na uchale. No compromise on this. Absolutely no compromise as long as I am admin. Do you mean that there will be a atomic blast in our country, a civil war or a war with neighboring country? Explain this companions..... July. For the past weeks I have shared what I am hoping for, which is for myself to practice what have been thought by my Sheykh and to highlight the things that I feel is relevant. Please read through my wall, I hope for all Muslims in general and mankind to realize that most of the tribulations that is happening over and over again is not because we do not contribute in the community or we are not doing our best in our daily responsibilities as a Muslims but mostly its the lack of understanding ones egos. Dear friends, I write this not to judge anyone in particular except myself for if I had known more about my egos I would have saved myself and many behind me. My friends we must share more on uniting our ummah and have a leader among's us even if that leader is not a Sultan, President or a PM of a country. Muslims don't need that, for all sea, land and sky belongs only to Allah almighty. I conclude my states by asking all to contemplate on the coming of Al-Mahdi (Alaihisalam) If we say that before the coming of Al-Mahdi it is destant to be that we would be divided as what we understood in the Hadith. But I ask some people why do they make their own decision to ask people to fight now. Please bare that all I'm asking is for us to share and hope. May Allah grant us good tidings. bhai g mein ne kisi per keecharr nahi uchala. yeh baat on the record hai,youtube pe khud zaid hamid ke interviews paray hain,jin mein uss ne kabhi iss cheez ko deny nahi kia. Woh yousuf kazzab ka right hand reh chuka hai aur kabhi uss ne izhzar e nidamat nahi kia iss cheez pe. then leave him why you are troubling your fingers by writing his name in every comment. you are biggest promoter of him in disguise. This is the cry of the day.Zaid Hamid is doing great efforts for awakening this lazy and sleeping nation. Ya Allah humaray gunaho aor khaton ko maff farma day. Amin! somma Amin! I know, there are many controversies exist in our society. Some people support someone, some are against someone. I am not taking name of anyone nor i am interested in any political personality or party. Strange Question, but I have all my interest in this question. Only if 'He' is our topmost priority, rather than our hobby or mere interest! Actually its a worth reading extract at the end of Novel 'Mann Chale Ka Sauda' by Ashfaq Ahmad. If you download the novel and read last pages, there is an extract in English, Please read that, you will be surprised. do you mean the voice of Ibrahim about Mysticim? Do not be angry with someone,keep your mind and temperament cool.It may be possible that you may be wrong in some matter and other may be correct so listen to everyone and prove yourself with arguments and dalayal if you consider yourself correct. If you want to find God than firstly control yourself and conquer your own Nafs and show courage against opponents views. Faqar-e-Ghayoor bhai..you are doing very good job..keep it up brother...aur yaar har tarah ke loog atay hain..aap gusa kabhi na kerna..aur na explain kerna kabhi kisi ko kuch...Allah behtar janta hai sab...aur yes God can be found...inshALlah you can find Him...He is in you..find yourself..you will Find Him inshAllah..you are doing good job in finding urself...inshAllah WOH bi mil jaye ga..r u bait somewhere? :) bohat mushkil sawal kar diya. aur bohat si nayi baatain pata chaleen, kuch logon ne share kar deen. ye sub aap ke samne present kar diya. All posts are evergreen, and future of Pakistan because these things are written in books of Saints. Faqar Bhai dont take anyone's Personal comments seriously. Logon ne Huzoor Sallallahu alayhi Wassallam pe bhi tanqeed ki thi to aap aur mai kiya chiz hain. Jo bhi acha kaam karta hai kuch log zarur apni kam fehmi ki waja se us per kichar uchaalte hain coz wo khud ko dusron se ziyada Ilm wala tasawwar karte hain.. I know as an Admin it's your right to delete any comment you want. hussain or me or anyone else should not say a word on your decision. Hussain would have done the same on his blog if someone has posted insulting comments there. I am really very upset at the comments of Hussain. I never expected this angry kind of a comment from Hussain at least. You are doing a great job. Majority of the people here appreciate you that is the proof your good intentions. Your reward is on Allah Brother. Mein ne kabhi kisi ko nahin roka, har kisi ko azadi hai comment post kare, tanqeed kare, itraaz kare uss ke kaam par yani criticism should be on someone's work rather than calling someone Kafir. That's the reason I deleted comments, otherwise I don't have any problem. InshaAllah day after tomorrow, I will post next part on Mohtarma Atiya. Actually it will be a very long post again so I need some time to compile & post. Question) Kashful - Quboor kiya hota hay? Brother "Kashful Qaboor" is common in all Aullia ALLAH. Jb insaan apna rohani safar start krta hy tu pehlay usy sachay khawab anay lgtay hein. is k baad usy jin, bhoot, aur arwaah b nazar ati hein. Agr wo rastay mein bhatka nhi tu phir usy Kashful Qaboor hasil hota hy. ye sb ALLAH k inamaat hein. Wo jis pr chahay usy atta krta hy. Kashful Qaboor main insaan jb kisi qabar pr Fateha parhnay jata hy tu ALLAH usy qabar k ander murday ki halat dikha deta hy aur us ki rooh sy mulakat bhi ho jati hy. Mein ne bhi wohi audio sunni huwi hai :) Kashf ka matlab khul jana hota hai. Rooh ko merna nahin yani rooh to barzakh mein chali jati hai merne k baad, baaz naik roohon ka qabar se rishta jurra rehta hai Allah ki merzi se. Aap logon ka tah-e-dil say shukriya ada karta hon kay aap logon nay mujhay explanation di. Main bhi chal para hon ab dekhain khahan tak himat saath deyti hay. Faqar Bhai u r doing Great. From an Islamic perspective, health is viewed as one of the greatest blessings that Allah has bestowed on mankind. It should be noted that the greatest blessing after belief is health. We are pleased to invite you all to attend a lecture on the topic to be delivered by Mr. Irfan-ul-Haq. Yes this is chalking on the wall that history USSR will be repeated with USA. Kuch Din Pehly mujey ik khawab aya , Me chahta hu k ap dosto se bhi share kru, mujey is khawab ki tabeer samaj nahi i.
ALAH TAALA Ham sab muslamano par apni khaas Rehmat aur Fazlo karam farmaaye aameen summa aameen. Wa Alaikum Salaam, He is Imam Mahdi as he is son of Imam Hasan (r.a). Imam Mahdi will be beautiful. Ameen!!! Qawali which you heard is kalam of Peer Naseer ud Did Naseer of Golara Shareef!! Ms. DIDEM: Master following the nuclear talks held in Istanbul, the Israeli Minister of Defense Mr. Ehud Barak made a statement saying "We haven't laid aside the option to attack Iran." He said; "the negotiations held in Istanbul was a waste of time. The time lost is very saddening for us." And the TV Channel of Israel named Channel 10 is broadcasting attack rehearsals. The Israeli papers give place to comments stating that "if the negotiations that will be held in Baghdad on May 23rd do not yield positive results, the plan will be implemented and the order for attack will be issued." 2012 May be possibly the start of the destruction of the evil state of Israel, according to the research of some renowned ulema kiram. Interesting guess work by few readers about Adnan .. the main charachter of my first book and second book too.Well please be sure he is not Uxi Mufti. hussain you should read this. a]Concept of Justice and Conduct of Judges ( Mayor La Guardia and Imam Abu Hanifa). "We provided them freedom from hunger and a sense of security amidst fear." C] And the origin of how that heart -warming Natiya Qalam sung by Sabri brothers was composed by Hazrat Ambar Shah Warsi. InshAllah it will be posted tomorrow. *Eyeedee is nick name of author. NATO Supply rout ke bahali ke drama ka drop seen qareeb hai, ghulamana zihan rakhnay walon se mazeed sabar nahi ho sakta iss waja se ye log NATO supply ke bahali par itna zor day rahay hain. Qom ko mazeed azaabon ka maza chaknay ke liay tayaar rehna chahye. Inn logon ko dar hai ke kahai hum log bhook se mar na jain, magar ye nahi dekhtay ke ye to rozana begharti se jeetay hai aur martay hain. I'm totally speechless! what are they doing? destroying their own country with their both hands. Fikar Na karain aur latest post parhain. Kuch nahin ho ga Pakistan ko. Now relax everybody. Allah is also seeing this All. Punishments are ready for traitors. theek baat hai. I agree. tum log pata nahi konsi dunia main ho. in do number babon ke bajaye agar hum apne aamaal sahi karlain to dunia or akhirat dono jaga kamiab honge. jahan tak imam mehdi ka taluq hai , yeh ek fictional theory hai, sahi ahadis main imam mehdi ka koi tazkira nahi hai or na hi quran main hai. yeh blog start hoye itna arsa hogaya or kakh bhi nahi hoa pakistan main. sare halaat wese hi hain or aise hi rahain ge. ppp dobara aye gi power main kion ke fouj or amerika yehi chahte hain. abhi dunia ko khatam hone main kamazkam 2000 saal ka arsa hai. tum log khuwab dekhna chordo imam mehdi or ghazwa hind ke. tumhari khassi fouj to apne mulk ke armed group se nahi lar sakti, india ko kia defeat de gi. What will be your reaction when the son of Mary (Jesus) descends and your Imam is from among yourselves? After the death of a Ruler there will be some dispute between the people. At that time a citizen of Madina will flee (from Madina) and go to Makkah. While in Makkah, certain people will approach him between Hajrul Aswad and Maqaame Ibraheem, and forcefully pledge their allegiance to him. Thereafter a huge army will proceed from Syria to attack him but when they will be at Baida, which is between Makkah and Madina, they will be swallowed into the ground. On seeing this, the Abdaals of Shaam as well as large numbers of people from Iraq will come to him and pledge their allegiance to him. Then a person from the Quraish, whose uncle will be from the Bani Kalb tribe will send an army to attack him, only to be overpowered, by the will of Allah. This (defeated) army will be that of the Bani Kalb. Unfortunate indeed is he who does not receive a share from the booty of the Kalb. This person (Imam Mahdi) will distribute the spoils of war after the battle. He will lead the people according to the Sunnat and during his reign Islam will spread throughout the world. He will remain till seven years (since his emergence). He will pass away and the Muslims will perform his Janazah salaat. Our Mahdi will have a broad forehead and a pointed (prominent) nose. He will fill the earth with justice as it is filled with injustice and tyranny. He will rule for seven years. Al-Mahdi is one of us, the members of the household (Ahlul-Bayt). The promised Mahdi will be among my progeny, among the descendants of Fatima. Mujhay wo waqt yad dila dya jab 1998,99 mai ptv par aksar qumi taranay aur kashmiri patriotic naghmay nashar hotay thay , aur qum mai jazba e hubbul watani aur aik walwala paida hota tha.Nawaz sharif sahib ke baad Musharraf ka siah tareen dour shoro howa. Ab to PTV par aksar you lagta hai ke bandaron ke kartab dikhai jatay hai.Jiss ke waja se ptv dekhna he chor diya. Ye baat shahi hai ke agar Pakistan nay Kashmir ko bhula diya to ye apnay aap ko bhe bhool jai ga(Khuda na karay). "I would love to share my knowledge with any one in any way if it is for the betterment of humanity and Islam. If any one wants to add me on FB they should msg me first with reference to these articles on this blog so i know which directions they have come from?" Dont feel comfortable at things he shared at his Face book page. Like the pictures and videos. I am not one of the malamati type so i would better keep away from this iqbal diwan shaib however will not consider him some one inferior , who knows what is his rutba infront of ALLAH. JazakALLAH! Great Work ... As I am new to this forum. AOA, no updates on this site since last 9-10 months.... any one can tell the reason ? 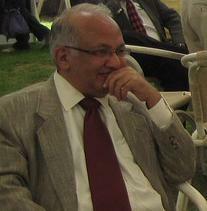 Anyone can provide Dr.Tariq Durrani contact no.